Summary: Seemingly out of nowhere, Ace Combat returns to the console skies. Looks, however, aren't everything. First Darksiders and now Ace Combat: it’s nice to see franchises with several years off make reappearances seemingly out of nowhere on modern consoles. 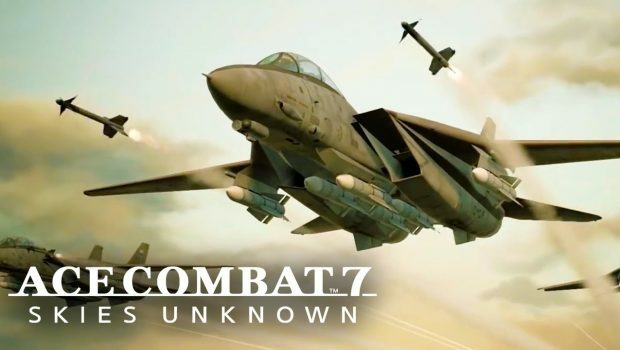 Ace Combat 7’s storyline implies a knowledge of both the series and major players throughout. In this instance, a surprise invasion by a competing nation-state ends a long-standing but always tenuous ceasefire. In turn, the attacked must adopt a strategic air response posture to compensate for disabled weapons capabilities. The story protagonist is a pilot stuck in the middle of a fight she never intended, and along for the ride. Voice acting is surprisingly stellar for a native Japanese title, with cutscenes mirroring gameplay in being gorgeous. Ace Combat 7‘s first impression is how absolutely beautiful it is. From the get-go, it’s crystal clear Bandai Namco put oodles of love into presentation components of the title. Rain splatter, cloud effects and airplane models all stand out as truly magnificent. Cockpits are refreshingly sharp, avoiding fuzzy text and/or stale feel of so many competing simulators. There are even visible scratch lines on the glass; no stone was left unturned. Audio is no slouch either, with engines and weaponry receiving highest marks. Ace Combat 7 is the Queen of the Prom. Related and on the PS4, Ace Combat has a PSVR option, one that offers three missions within this perspective. 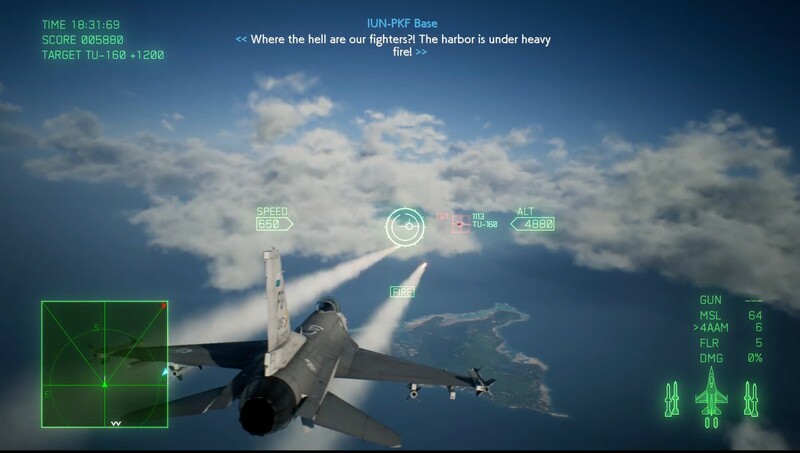 Warning: Ace Combat 7 falls into the ‘intense’ experience range, and the type of virtual reality (VR) only the most seasoned players will be able to endure, sans nausea. Specifically and mirroring VR racing simulators, Ace Combat 7‘s experience is controlled via fast head turns within a 180-degree surrounding. Pretty nifty, but note said three sessions equates to less than one hour of play time. Gameplay wise, I darn well tried…but just couldn’t get into Ace Combat 7. Sad, as there so few flight combat simulators for consoles, and – as stated – it looks and sounds beautiful. While controlling aircraft is pretty straightforward, the game does a poor job in providing a true flying feel. 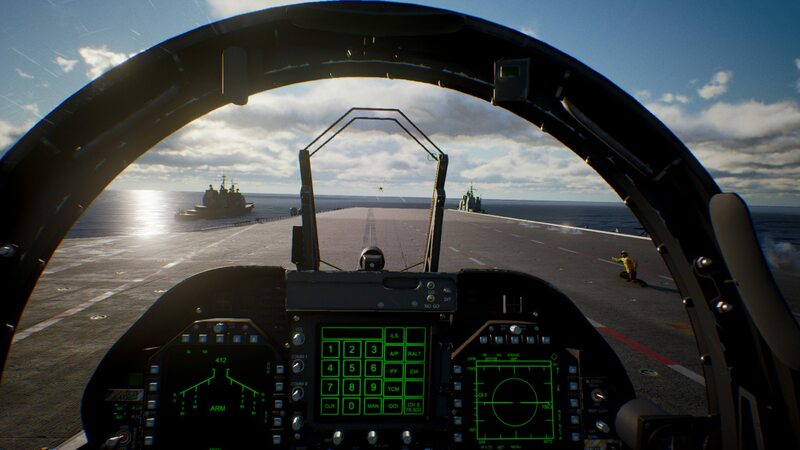 Ace Combat 7 possesses an identity problem, of never wanting to let go of either simulation or arcade training wheels. What results is a forced feeling on both ends, mainly flying in near circles to chase opponents on/off screen via arrow directional cues. 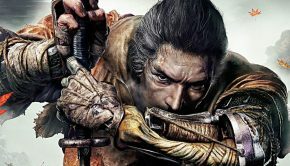 In turn, the game captures the sensation of movement, but never speed. Alternating perspective from the first-person cockpit to behind plane camera, for example, sadly changes little. Locating and downing computer targets or engaging in multiplayer dogfights is more button switching than flight sensation. Select, lock, fire, done. 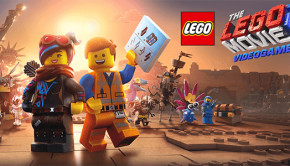 Logistically, it is worth noting I reviewed this game using a standard DualShock 4. Ace Combat 7 recommends and even sells their own Thrustmaster HOTAS control system, one that no doubt exponentially increases engagement fee. Still, and unlike their Steam brethren, I would suspect most PS4 users will not possess nor invest in this preferred setup. 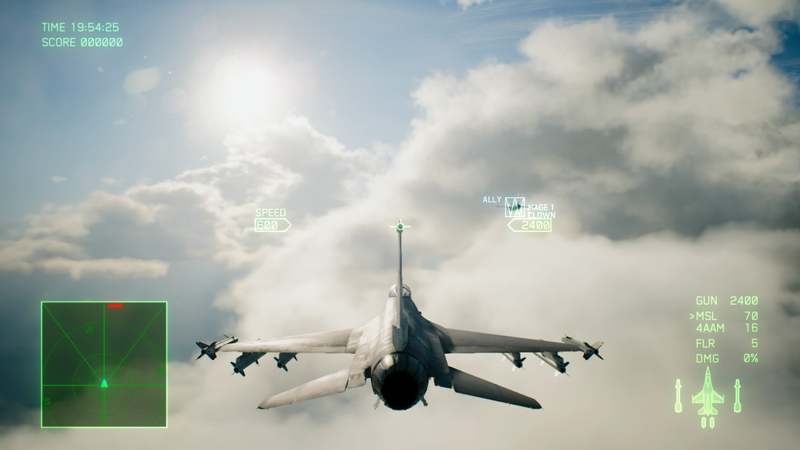 A strong suit of Ace Combat 7 is its plane tree system, one where a player can apply obtained experience points toward a particular plane type and/or playing style. Air, ground or mixed aircraft and their weaponry can all be bought and upgraded, with each suited best for specific campaign missions. In contrast and for multiplayer, and as could be expected, it’s all about speed and firepower. Having up to seven opponents on screen equates to an endless requirement to avoid lock-ons while blasting passerbyers. Regardless of preference, experience points carry over across modes…something all tree-based upgrade system games should arguably possess. 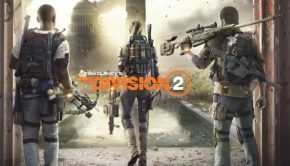 Online multiplayer isn’t much different than campaign, just more randomized in combat experience. 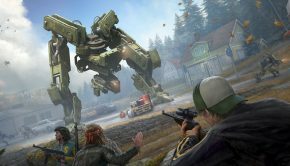 By random – and from my experience – an endless parade of missiles launched by opposing players trying to hit anything and everything (versus deliberate AI campaign based adversaries). I am, however, completely confident that series veterans matched up each other will encounter a different experience in this mode. While seasoned veterans of the Ace Combat series may have a much different perspective on its seventh iteration, I was unfortunately left disappointed by lots of glitz and limited glamour. The game never became, well, fun to play, and the allure of watching and listening to beautiful aircraft fly over and through jaw dropping environments can only go so far. Even with an abundance of camera angles to choose from, none offered the immersion factor I was longing to experience: the thrill of actual air combat. Author’s Note: for this review, I was provided the deluxe version of the title containing additional aircraft and a copy of Ace Combat 5. Paul Stuart A gamer for over 30 years, Paul Stuart has an unhealthy obsession with Assassins Creed, God of War, also sport and virtual reality titles. In his spare time, he teaches Muay Thai kickboxing, runs WrestlingInFlorida.com, and drives his toddler crazy.